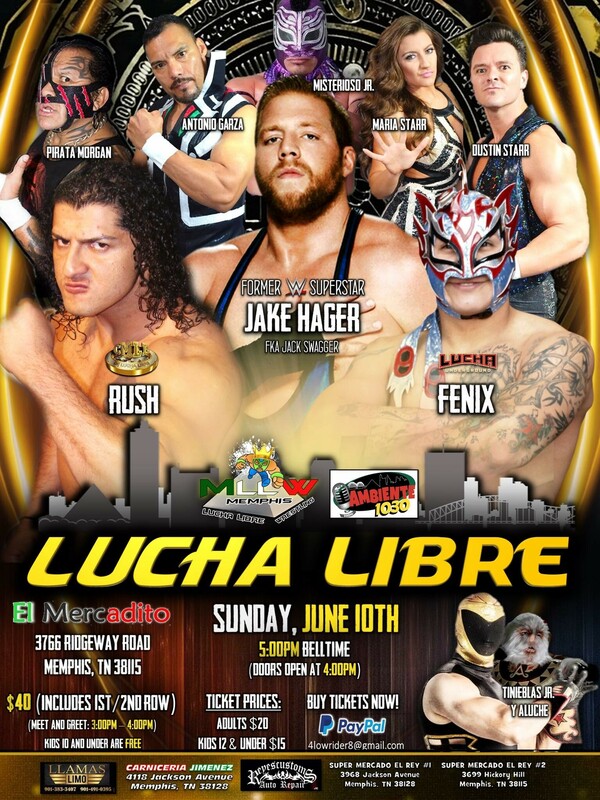 1) Lucha Libre with former WWE superstar Jake Swagger (Sunday, June 10): The same Memphis-based organization that brought Rey Mysterio and "Broken" Matt Hardy to town in the past 18 months is now bringing in former world champion Jake Swagger. The MLLW event will also feature a championship battle royal and oodles of fans placing their hand over their heart. 2) SmackDown Live at FedExForum (Tuesday, June 12): WWE's blue brand will be live from Memphis for their final show before the annual Money in the Bank pay-per-view. According to WWE TV commercials, fans can expect to see Daniel Bryan's "return to action in Memphis for the first time in three years." Plus, Paige will host a Women’s Money in the Bank Summit (whatever that is) and Andrade “Cien” Almas is scheduled to wrestle Sin Cara. Also on the card: WWE champion AJ Styles, Shinsuke Nakamura, The Miz, and Jeff Hardy. 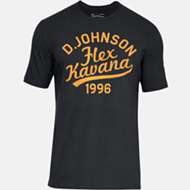 3) Dana White's Lookin' for a Fight on Beale Street (Friday, June 15): The Vince McMahon of the UFC is coming to Memphis to be in the corner of Derrick King and MMA fighter Matt Serra as they battle Dustin Starr and MMA fighter Din Thomas with Maria Starr in their corner. Cameras from White's show will be on hand filming all of the action in front of Jerry "The King" Lawler's bar on world-famous Beale Street. 4) Cerrito Trivia's House Money in the Bank at Memphis Made Brewing (Thursday, June 28): It's a wrestling event where you get to be a part of the action. I host this free competition which is the trivia night version of WWE's Money in the Bank. 5) Redbirds Wrestling Night at AutoZone Park (Friday, July 6): Since the Redbirds hired Memphis Wrestling's Power Couple as their co-emcees this season, you could argue that every night is Wrestling Night at AutoZone Park, but this particular Fourth of July weekend game will actually feature live wrestling matches and storylines. 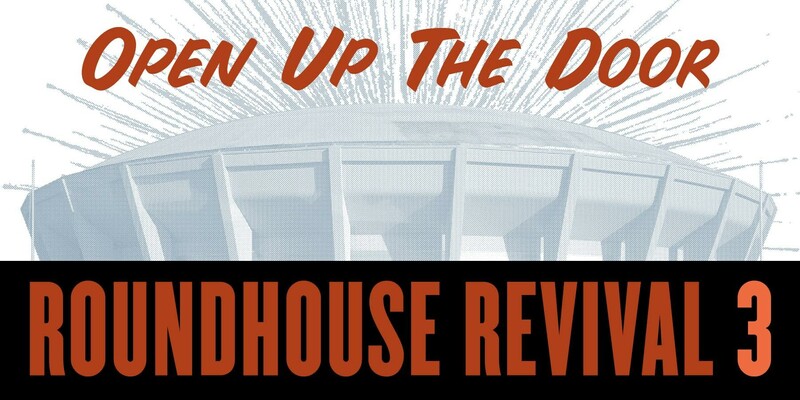 6) Roundhouse Revival 3 at the Mid-South Coliseum (Saturday, July 21): Memphis Wrestling has already returned to Saturday mornings. Now, it's back at the Mid-South Coliseum too. Free live wrestling will once again take place in front of the historic arena as part of the third Roundhouse Revival in as many years. In addition to live music, basketball, and food trucks, this year's installment will include water slides and robots. Will we get to see Robots vs. Wrestlers?! 7) Real Memphis Wrestling at Rec Room (1st and 3rd Friday of Every Month): Twice a month, the Rec Room transforms into the WreckRoom when UCPWS takes over the popular Broad Avenue arcade bar. Fans under 21 are welcome with a parent or guardian. Cover is $5, thus making it the perfect setting for a revival of Craig Brewer's MTV show.